After 10 levels of play, many bust outs, and many double ups, it was Rex Clinkscales who walked away as the Day 1 chip leader of Event #4: $1,500 Omaha Hi-Lo Split 8 or Better. He managed to bag up 96,200 chips. Clinkscales cruised through most of the day unnoticed, sporting an average to above average stack, but in the last two levels of play he rocketed into the chip lead, overtaking James Chen who held the chip lead for most of the evening. 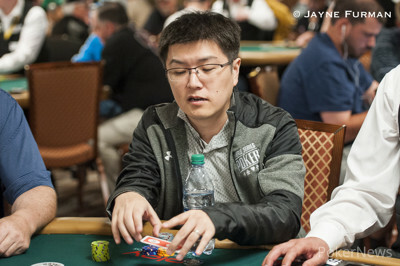 Chen finished second in chips for the night, bagging up 92,400. Clinkscales has 1 WSOP Circuit Ring already and will look to add a bracelet to his collection in this event. A total of 905 players registered for Event #4 and many of them didn’t make it through the day. Only 254 players will return on Friday. Of those who didn’t make it through the day were Jeff Madsen, Jason Mercier, Mike Sexton, David Benyamine, Shaun Deeb, Scotty Nguyen, Todd Brunson and Andy Frankenberger. There are still plenty of big names left in the field including last year’s champion Benny Glaser. 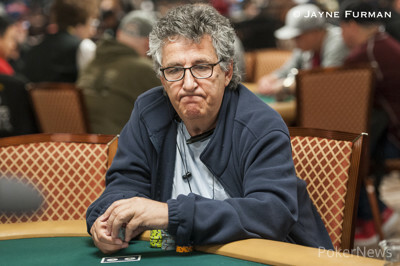 Glaser will return for Day 2 with 19,400 chips and will look to push past the money bubble in an attempt to go back to back in this event and to lock up his fourth WSOP gold bracelet. Also returning Friday are Hani Awad (23,700), Aaron Steury (64,100), Allen Kessler (8,700), Jeffrey Lisandro (26,000), Dan Heimiller (15,000), and Paul Tedeschi (32,700), to name a few. In total, the prize pool for this event ballooned to $1,357,500, creating a first place prize of $238,620. A final table appearance will earn $16,726 and a minimum cash will garner $2,253. The bubble for this tournament will break once only 136 players remain and should come quickly after play resumes, with just over 100 players to go. Players will return at 2 p.m. PST on Friday and will play through 10 more levels. PokerNews will be here with all the action so be sure to stay tuned. Richard Bai and James Chen look to have the two biggest stacks in the room at this point. Both have flown under the radar to this point but both have over 60,000 chips and look to be the tournament chip leaders at this point. 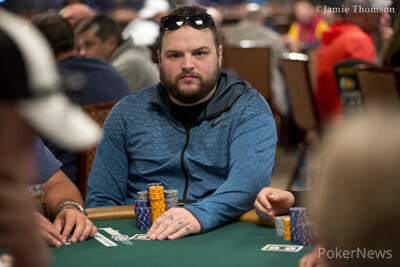 Aaron Steury, who at one point was all in for his last 1,100 chips has also built himself up to be one of the largest stacks in the room, topping 60,000 chips as players start to round out the last level of the night. 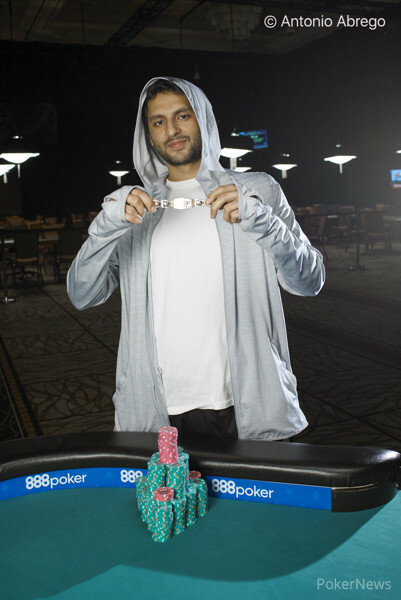 Preflop, action was capped at four bets, with one player moving all in and Hani Awad closing the action with a call. The flop came and Awad led with a bet. The other player moved all in for his last 1,600 and Awad called bringing the three players to showdown. The board completed with the and the and Awad took down the entire pot with three jacks. Allen Kessler just doubled up when his made two pair on a board of against one other opponent. Meanwhile, several other players have been slowly increasing their chip stacks as they approach the last level of play for the day. All of Mike Leah's sweet sweet chips have been dispersed to players at his table, leaving him headed to the rail. Maria Ho has also busted from the event. Meanwhile, Aaron Steury has made a full recovery from his early short stack and John Monnette has built a decent sized chip stack for himself as well. Action folded to the button where Naoya Kihara opened with a raise. The player in the small blind reraised. "Uh oh," Kihara said. With action back on Kihara he made it three bets. The small blind called. The flop came and both players checked to see the on the turn. The small blind bet. Kihara raised leaving just 100 behind. The small blind raised and Kihara called for the rest of his chips. "Deuce of hearts," the small blind said. "Scoop!" And his wishes were answered when the hit the river, giving him a flush and a better low to take down the pot and eliminating Kihara from the tournament.